Since the median star distance in the Milky Way is 1 pc (3.26 ly), real time communication via subspace radio is merely possible within one planetary system. 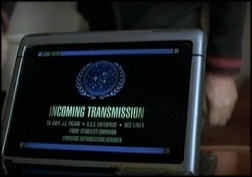 Unfortunately, despite this restriction all the other cases have been shown on screen, and after the first seasons of Star Trek: Deep Space Nine at least avoided a direct contact DS9-Earth in favor of near starbases etc., in some later episodes even the absolute impossible was suddenly possible: real time communication over a distance of more than a hundred light years! 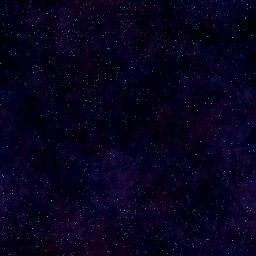 To make things worse, the ST:DS9 TM suggests that 90% of the existing subspace relais network of the Federation has been destroyed or dismantled since 2371. Consequently, the maximum (boosted) subspace radio speed can't be reached any more, and in view of the distance limit of 22.65 for this velocity, the increasing signal scattering and decay without refocussion and repolarization or the generally unsteady nature of subspace it is questionable anyway if a signal transmitted over such a long distance without intermediate relays would ever reach Earth. Reasons: Just as many other inconsistencies and errors of Star Trek, the problem with the impossible, but nevertheless frequently shown interstellar real time communication is caused by the formula "simplicity overrules correctness". Of course, it would be considerably more laborious to use one-way messages the most time. Moreover, admittedly an important dramatic element would be lost: the frequent real time communication expresses quasi an interstellar connection between the planets or between a ship and its home base, respectively - a "sense of belonging". That is why the more correct communication with time lag is only used when it is intended to show that there is a great distance to home or the ship is "separated from known universe", e.g. in [TOS] Balance of Terror, [TNG] Where No One Has Gone Before or [TNG] The Defector. Explanation: A solution of the problem is extremely difficult. While there are two - equally radical - possibilities for the problem with the too low warp speeds regarding the distances of the planets (the equivalent speeds are wrong, i.e. warp is considerably faster, or the planets are all located in a smaller volume of space), here only the explanation remains that the subspace radio speed of warp 9.9999 / 199 516c has to be wrong, since logically not all planets can be situated in the same system. Because this figure was only mentioned in a single official documentation (Star Trek Encyclopedia, while the technical manuals give warp 9.9997 as a contradicting speed limit) and never confirmed on screen, it wouldn't be a problem to increase the speed - if this procedure would not influence all those cases in which communication was intentionally prevented. For instance, if subspace radio would be one hundred times faster, at least contact between adjacent planetary systems would be possible. On the other hand, the deliberate communication time lags e.g. from the Romulan Neutral Zone to Earth wouldn't make sense any more. Also, in the sixth year of her journey (distance: app. 30000 ly) the USS Voyager could contact Starfleet Headquarters with a response time of only 24h, if such a ultra long range communication wouldn't be impossible due to the nature of subspace itself (see next problem). Because of this dilemma, there isn't any plausible explanation for the problem, and just as the sound effects in space, we can only accept it as a dramatic means to an end. Problem: Since Voyager has been stranded in the farthest edge of the Delta Quadrant in 2371, the starship has been cut off from Federation that was 75000 ly away in the beginning, since even subspace radio has a response delay of several years for this incredible distance. 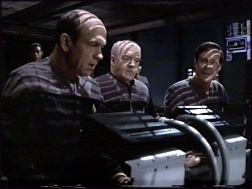 Although Voyager has shortened the distance by half within 5 years, successful contacts with the Alpha Quadrant remained short, unique events. They were based on natural phenomena or alien technology: in [VOY] Eye of a Needle a micro wormhole is used to communicate with a Romulan science ship in the Alpha Quadrant, but the crew does not succeed in calling Starfleet before [VOY] Message of a Bottle, in the forth year of Voyager's journey, where finally contact is established by an ancient, transgalactic relais network. 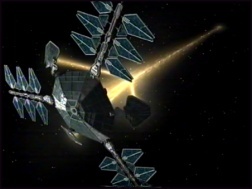 The sixth year, particularly the episode [VOY] Pathfinder, is a turning point of the voyage: Starfleet itself succeeds in opening a micro wormhole with the help of the MIDAS array and a itinerant pulsar in order to contact Voyager, with the prospect for a more regular communication (see pictures). At 32 day intervals, this perspective becomes possible as of [VOY] Life Line, again thanks to the MIDAS array which amplifies subspace signals with the aid of a cyclic pulsar this time. However, the question arises why such ponderous and difficult ways of communication are necessary at all - after all, according to the Star Trek Encyclopedia the (maximum boosted) subspace radio speed is warp 9.9997 / 199 516c, so that in the sixth year of the journey, in which Voyager is about 30000 ly away from Earth, a subspace signal should only travel 54 days to Earth. Explanation: In this case, the problem is not caused by a mistake of the authors or "dramatic intention", but is because of the technical limitations of subspace radio and the nature of subspace, which there never mentioned on screen, but in the ST:TM and ST:DS9 technical manuals. Basically, we know that every kind of signal - even highly-focused EM waves like laser beams - scatter when transmitted over extreme distances. If this applies to subspace radio as well, this means that even a highly-focused and radially polarized subspace signal, directed to Earth, will become a very weak, broadband signal over this distance, if it is not repeatedly refocused and redirected. To make things worse, one property of subspace itself affects the signal, making long range communications impossible. the signals transmitted (or "forced") to subspace tend to make their way back to the "surface" after a certain distance and finally to reemerge from subspace, becoming a slower and also decayed EM signal again. The distance depends on the subspace layer to which the signal was transmitted. Higher energies of the initial signal correspond to a deeper transmission layer of subspace, a higher transmission speed and also a longer maximum distance. The ST:DS9 TM clarifies that even in the 2370s, the technical limit still remains at warp 9.9997 and 22.65 light years. Therefore, transgalactic subspace communication with acceptable transmission delays is impossible with contemporary technologies, a standard subspace signal transmitted by Voyager would never reach the far away Earth. Two possibilities remain: either the signal is regularly amplified and refocused (like the now destroyed alien relay network from [VOY] Message in a Bottle did), or the initial signal itself must have an unbelievable energy (e.g. 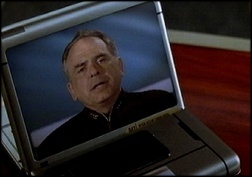 by amplifying the transmitted peak energy with the aid of a pulsar, like in [VOY] Life Line). Due to the existing proportionality, the signal would then be shifted to a transmission layer deeper in subspace, the maximum distance would be lengthened and the signal would be more resistant to subspace distortions etc. However, it appears odd with the latter possibility, that Voyager seemingly can answer (for 17 hours), although evidently these immense energies for the amplification of signals aren't at the crew's disposal. This inconsistency may only be explained with Seven of Nine's Borg abilities, the experiences with trans-dimensional manipulation via main deflector in [VOY] Scorpion II and [VOY] Prey or probably the allusions from [VOY] Pathfinder concerning "modifications of the comm system for signal transmission at hyper-subspace speeds".